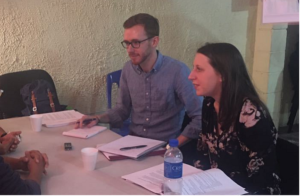 Each year, HRI works with a small team of students on a cutting-edge human rights topic, giving them the opportunity to develop the research methodology, conduct extensive interviews on the subject, draft a comprehensive report on their findings, and engage in related advocacy. Students selected to join the Fact-Finding Project are supported by a full-year, six-credit practicum taught by expert practitioners. In the fall semester, HRI trains students in the substantive law and policy, as well as fact-finding skills and methodology, interviewing skills, ethics, and security planning. Critically, the ultimate research question is developed by the students with the support of the Adjunct Professor and Dash/Muse Fellow. 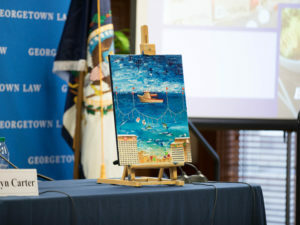 In January, during Georgetown Law’s “Week One,” the research team travels either internationally or domestically to conduct extensive interviews with those affected by and knowledgeable about the issue. In the spring semester, HRI publishes a comprehensive report that lays out findings and recommendations, and then engages in extensive advocacy with government officials or other decision-makers. Trapped: Cycles of Violence and Discrimination Against Lesbian, Gay, Bisexual, and Transgender Persons in Guyana. In 2017-2018, the HRI Fact-Finding Project investigated cycles of violence and discrimination in against lesbian, gay, bisexual, and transgender (LGBT) individuals in Guyana. For a screen-reader accessible version of this report, please contact HRI's Dash-Muse Fellow. 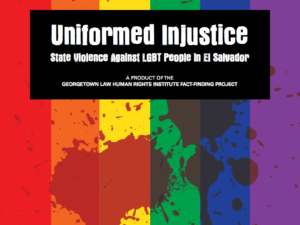 In 2016-2017, the HRI Fact-Finding Project investigated institutional violence targeting lesbian, gay, bisexual, and transgender (LGBT) individuals in El Salvador. 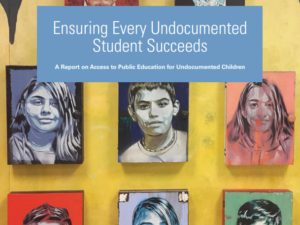 In 2015-2016, the HRI Fact-Finding Project and practicum course examined the right to education and access to public education for undocumented immigrant children in the United States. 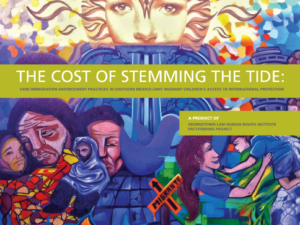 In 2014-2015, the HRI Fact-Finding Project and practicum course examined the the impact of immigration enforcement practices in Southern Mexico on migrant children's access to international protection. 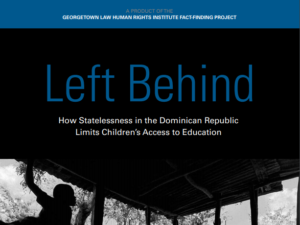 In 2013-2014, the HRI Fact-Finding Project and practicum course examined how statelessness in the Dominican Republic limits children's access to education. 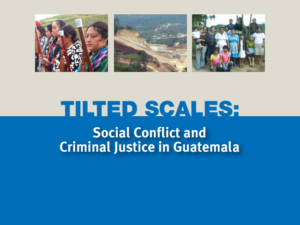 In 2013, HRI published a report on social conflict and criminal justice in Guatemala following joint research and fact-finding with the American Bar Association's Center for Human Rights and the Robert F. Kennedy Center for Justice & Human Rights. 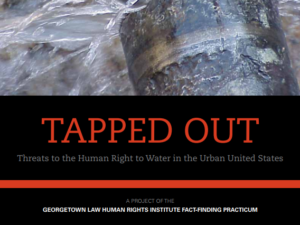 Tapped Out: Threats to the Human Rights to Water in the Urban U.S. In 2012-2013, the HRI Fact-Finding Project and practicum course examined the human right to water in marginalized communities, including in Detroit and Boston. 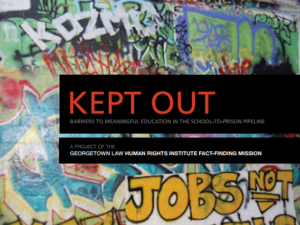 In 2011-2012, the HRI Fact-Finding Project and practicum course examined the right to education of children in the United States in conflict with the law through fieldwork in Los Angeles. 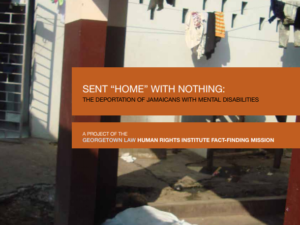 In 2011-2011, the researchers visited Jamaica and conducted more than 50 interviews with deported persons, mental health professionals, civil society representatives, and government officials. 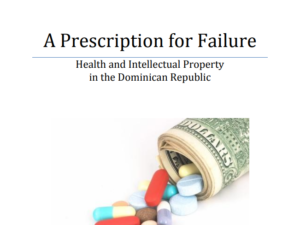 In 2009-2010, researchers investigated the impact of of the DR-CAFTA trade agreement and intellectual property protections on access to affordable medicines in the Dominican Republic. 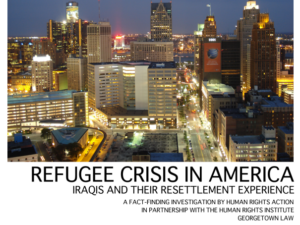 In 2008-2009, researchers examined and assessed the United States' policies, practices, and legal framework with regard to the resettlement of Iraqi refugees though interviews in Washington, D.C., Detroit, San Diego, and Amman, Jordan. In 2008, researchers traveled to Haiti to document the experiences of HIV-positive spouses, children, parents, and siblings of U.S. citizens or Lawful Permanent Residents (LPRs) affected by the "HIV bar." In 2007, researchers examined the rise of gangs in Guatemala and the United States and assessed the anti-gang strategies in each country, compared the relative successes and failures, and offered recommendations. In 2006, researchers investigated the the unintended consequences of counter-terror policies and the material support bar on Colombian refugees. Applications for the HRI Fact-Finding Project are collected during the spring semester on roughly the same timeline as clinics. For more information or to share your ideas for future projects, contact HRI Dash/Muse Fellow Ashley Binetti.